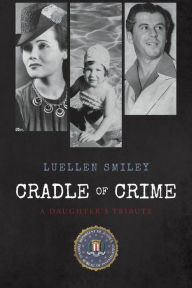 CRADLE OF CRIME – A Daughter’s Tribute-Revised Edition Now Available. The multifarious odyssey of learning the language of a gangster’s daughter began in 1966. While completely uninformed of organized crime, my father was active in the Los Angeles rackets; gambling, extortion and horseracing. Though I had been exposed to reports my father had a gangster connection, I denied any truth to these comments. My teenage years were spent in much the same way as my father; hiding my activities, lying, and avoiding truth.